All this is great stuff, and I'm sure would be super cool to have running. However, I think there's a large audience that just wants some basic signal capability at low cost. That's what I was trying to address. If you want to spend more money, there are tons of commercial offerings that already do a lot of this stuff. 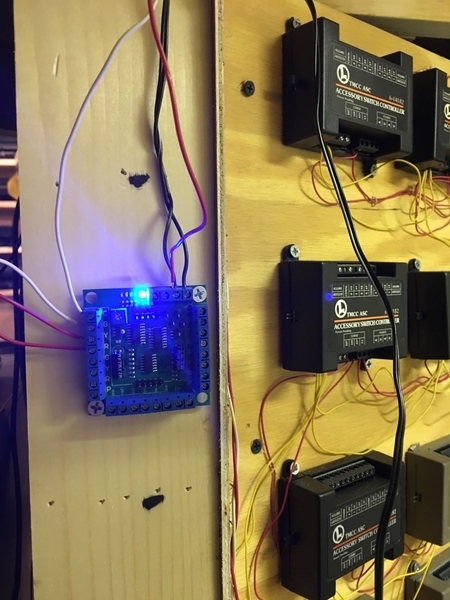 I'm seeing a DIY solution that can be assembled for a few bucks and offer basic signal functionality with a handful of "nice to have" options. If the build cost goes much over $10, the project goes way off track. A good idea that came out of the discussion is to have the board support going a more complex route, but have the option of assembling a simple signaling system by simply leaving parts off. As far as programming the Arduino, the same thought applies. I'm visualizing a simple signaling system being first implemented and then the community has the option of expanding it and using the extra capability that is built into the board. It's a building block approach, not an all-in-one solution right out of the gate. LOL. Well, some 5 years ago, there was this OGR thread discussing how to drive the 3-aspect we_honest signals. We_honest offered their signal controller board as described earlier. The thread showed how to roll your own circuit for $1 or so in components with the timed-yellow. The same circuit could drive the 3-LED RYG or the 7-LED PRR style. GRJ has already shown how to roll-your-own insulated-rail trigger (his so-called ITSD) in various threads. So the two circuits in combination could provide a low-cost (less than $5 in parts) option. No daisy-chaining capability, no clever bi-directional operation, no crossing-gate flashing, just basic drive-the-$4 3-aspect signal. End-of-story! Yep Stan, you are so correct. I was thinking perhaps one step up with a bit more flexibility, but feature creep (or rather feature over-speed) seems to have taken over the project! I kinda' liked the idea of an inexpensive and expandable platform, getting into control for the whole layout is over the top for this application. Perhaps I'd be better off just to come up with something and present it. 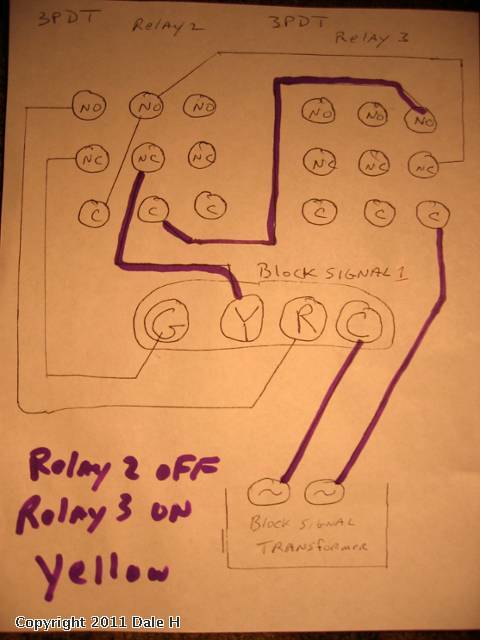 And, if low-cost is the objective, I've posted OGR threads on how to use low-cost eBay relay modules to perform the timed-yellow delay. Less than $5 per signal head. No tedious component-level assembly/soldering if using $1-2 eBay relay modules (as opposed to wiring up a 555 IC timer chip). Again, No daisy-chaining capability, no clever bi-directional operation, no crossing-gate flashing, just basic drive-the-$4 3-aspect, 4-wire, common-anode LED signal head. For 3-aspect PRR in this case with a 25-cent roll-your-own optical occupancy detector instead of an ITAD. 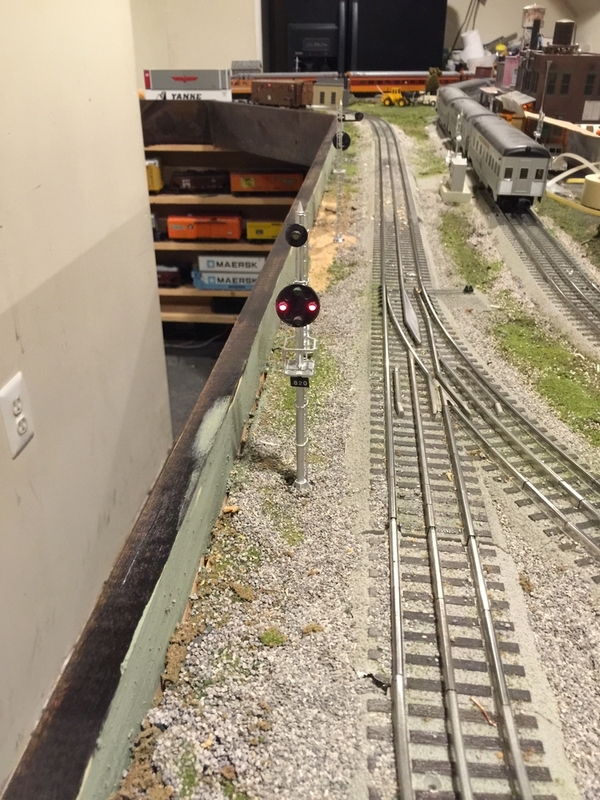 I will happily use a simple RR signal control board on my currently in planning stage year round Winter Themed Layout that I plan on putting in my Dining Room. I wonder if it could be made to control both crossing signals and normal RR signals on one board, or if that would be to much of a draw in one board. Since my winter themed layout is going to be significantly smaller than my layout in the basement. My thinking is along the lines of using the raw track power to handle incandescent lamps so that the power supply on the board wouldn't have to supply that power. LED's are not a big deal, and those would probably be OK. The tricky part is how it's being triggered and what logic makes sense to have both road crossing and track signalling active from the same sensors. How about just going with the items in your first post that started the thread? I think that is a pretty good list of features to start with and something I would certainly be happy with. As things progressed the idea of possibly of adding more capability to the original board could be entertained and the board could be expanded if things develop? Since I am no circuit designer, some of the original items you suggested may even prove to be difficult or too much for the initial board design? Some of us (me for sure) can really come up with the features, but also have no idea what is involved in creating a circuit to make it happen. Reference to your signature line once again comes to mind... But I really do get that part of it! One other thing, these boards could be used as a starting point for us 'prototypically challenged' folks that are not really sure how all these signals work together anyway? They would not have to 'do everything for everyone'. We could upgrade to the already available stuff for more advanced signaling, etc. as we go along. Maybe sort of a starting and learning point or starting to learn so to speak? Some would probably end up being good with what they had and others may want to go to more advanced methods? Have something you think should be added or changed? Send me an email, it's in my profile. Stan and John, Your circuit together with a variation of GRJ's "Itad" work great. Can be modified to to suit 2 or 3 light colored or directional signal if you like. Also it could probably modified to use multi colored LED"S. Less than $3.00 using GRJ's insulated rail "Itad". 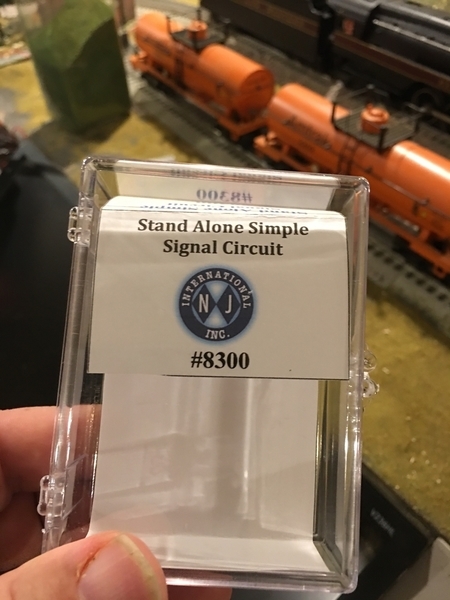 As Stan has shown, it's pretty easy to cobble together a basic signal driver. If you were to create one PCB for the signal driver and the ITAD components, you could probably get the total price for parts to the $5 ballpark, and maybe even a little less for a single signal solution. 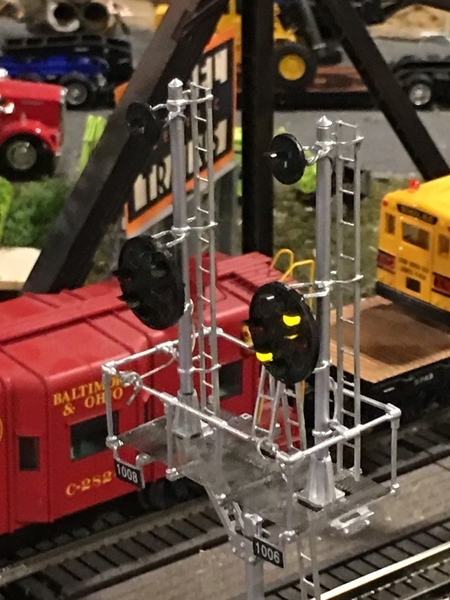 Of course, you would want some nice terminals to connect to the track and signals, that tends to run up the cost. That would sure make it easier, I used hand wired perforated board to activate my signals. Adding a extra set of relay contacts could activate some other signal related action. Oops, there we go, mission creep again. So I have 2 questions.... Where Dale H drew in "Block Signal Transformer" power (AC symbol), (Lower Right Hand corner)... I am using insulated rail which is sending AC common to close the relay solenoid ? I am using a separate PW Lionel DC transformer which has the negative DC terminal tied to my AC Common on the layout which is how I am driving all my other 12 VDC DPDT relays... That's working for DPDT so it should work on my 3PDT 12 VDC relays ? Next question the power going to relay 3 in Dale's sketch should be the 10 VDC as I am using LED signals not incandescent lamps ? 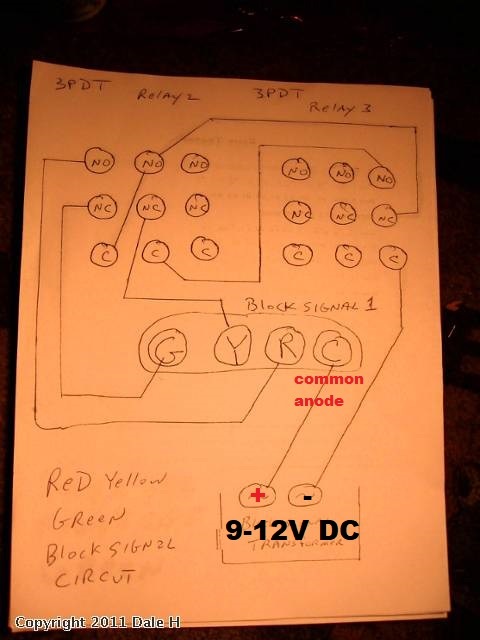 Also, I assume that if I hook of 6 of these in sequence, I should follow his diagram, then all lower right relay common or collector terminals, (not sure which term is right) get the 10 VDC + to the 3rd set of relay contacts on the RH side for every relay ? Note that while the diagram shows 3PDT relays, you only need a DPDT type for Relay 2 and a SPDT type for Relay 3. Of course, if you already have the 3PDT type in-hand they will work too. If you peruse the Electrical Section of the O-gauge archive site referenced above, Dale posted several additional ideas where the 3PDT type relay can be put to full use for more complex block signal applications. For example, I'm not sure if I understand your 2nd question, but if you have multiple LED signal heads on consecutive adjoining blocks, then you can use the "unused" DPDT contacts of 3PDT Relay3 to become the "used" DPDT contacts of Relay2 for the next signal head. So only one additional 3PDT relay is needed for each additional signal head. OTOH a lot of guys use the unused relay poles to cut power to a controlled block (if Red), reduce voltage (if Yellow), apply full power (if Green). I guess it all comes down to exactly what you're trying to do! I was thinking for each block , I would need to install one (1) - 3PDT relay, and one LED signal with 3 or more LED lights (see below, for why I say "3 or more LED lights"
For N signal heads on consecutive/adjoining blocks, you need N+1 relays. The leftmost relay can be a DPDT type. The rightmost relay can be a SPDT type. All relays in between are the 3PDT type. Or, use all 3PDT types and no need to make some connections on the leftmost and rightmost relays. Example above has 3 signal heads requiring 4 relays. 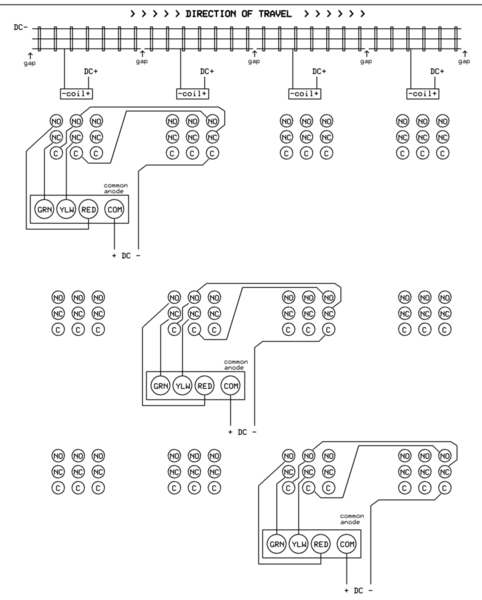 I drew the wiring to each signal head separately to illustrate how the wiring "pattern" to each signal head simply repeats. If drawn all together it would look like a mess! If you're messing around on the bench, you might look into placing a 25 cent resistor-capacitor filter on the DC relay coil contacts to demote chatter. That is, when a consist enters/exits a block, the lightweight wheel axles (e.g., pilot truck on a steam engine or trailing truck on a caboose) may make intermittent insulated-rail contact causing the LED signals to flicker. I'm pretty sure Dale covers this ... or I can elaborate if this is of interest. Anyone heard from Dale H anywhere in the last year? Stan, your drawings are always very good and explain things very well, as do your written descriptions. Thank you again for all the help you give us around here! Adriatic, here is a post from Dale H from Dec 2016 saying he was recovering from a stroke. I emailed him shortly after reading that to wish him well and a speedy recovery. I've never heard back from him so I don't know what has happened to him? Sure hope he is still with us and doing well. I always enjoyed his 'relay logic' posts, he had some neat stuff that he had done with relays like automating his entire, large, conventional operation layout with them. His layout is really neat too as is the building he had it in and everything else he had in there. I did find a bunch of Dale's drawings that were on jcstudiosinc., detailing the SPDT, DPDT and the 3PDT configuration, but I was struggling trying to extrapolate what a multiple consecutive block arrangement would look like. You totally solved that problem with the above drawing and expanation !! 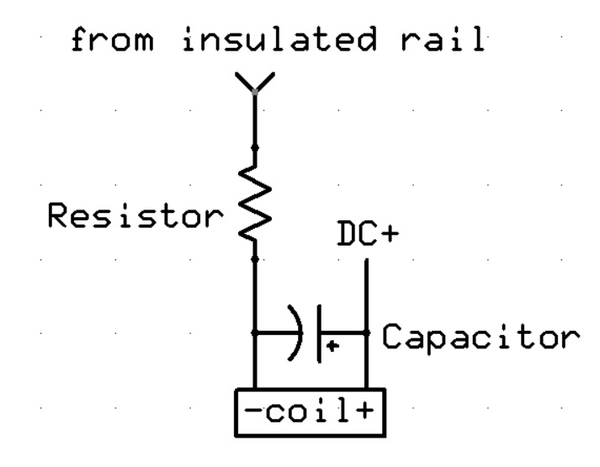 I have been using the capacitors on the coil contacts, basically my DC + is set at 10 Volts at the PW lionel DC transformer, then the capacitor brings it up to 12 VDC +/-.... I am not familiar with adding a "resistor" to this filter. I wouldn't mind hearing the how & why so I can add this to the mix. I have an ample supply of resistor's capacitors etc. With the drawing you provided I definitely don't need to build a test bench set up.. Again, I really appreciate your HELP !! GRJ, sorry for getting way off topic on your thread - RR Track Signal Control Board..
No problem with me at all Chris, I always welcome discussion, and Stan is already on point. The resistor limits the current surge into the capacitor at the coil when a wheel axle initially straddles the outer-rails. That is, an uncharged capacitor behaves like a short-circuit when a voltage is suddenly applied to it. This surge can cause arcing and, over time, pitting of the rail. Depends on many factors like the power supply, the capacitor size, etc. and you may never see it. But why not pony up a 1-cent resistor. Something like 22 Ohms 1/4 Watt. Go below 10 Ohms or so and you lose the effect, go above 47 Ohms or so and you might starve the coil of voltage. I don't know your coil current but to achieve any useful chatter suppression the capacitor value will need to be in the 100's of uF. So this will be a polarized electrolytic type rated at, say, 25V or more. Well, GRJ's board will need to handle this application though presumably without relays. A method to "daisy-chain" block signals is a must-have feature. Additionally, I'd think an LED flicker suppression method (like the capacitor across the coil) is another must-have feature. So I think we have his attention! As for those additional LEDs. Assuming they are also common-anode with built-in resistors, then it seems you'd just hook up a 2nd, 3rd, etc. LED in parallel to turn on at the same time as any of the primary RYG LEDs. Of course this limits you to the 3 existing states and there's nothing new...not very interesting. I am ignorant as to prototypical signal behavior for your additional LEDs, but let's imagine a new "state" where you want an LED to indicate that a signal two blocks ahead is either Yellow or Red. This logical "OR" can be implemented with 2 penny diodes. The logical "AND" function is a bit more complicated to implement. It's these more complex signal behaviors where I think GRJ's control board will make its mark. I was thinking of a simple input and output logic signal to daisy chain the boards. Since I've pretty much decided that in order to be flexible that it would have to be uP based, that should be pretty easy to provide for. My current thinking (when I get time to think about this), is the Arduino Nano piggybacked on a board with the power supply and driver components. Using the Arduino allows easy portability of the firmware that is developed and modified along the way. Also, the Arduino has lots of I/O ports to allow flexibility in what signals it drives. I'm also thinking at least the provision for one 10A relay so that it could be programmed to control track power if desired based on the signalling input. 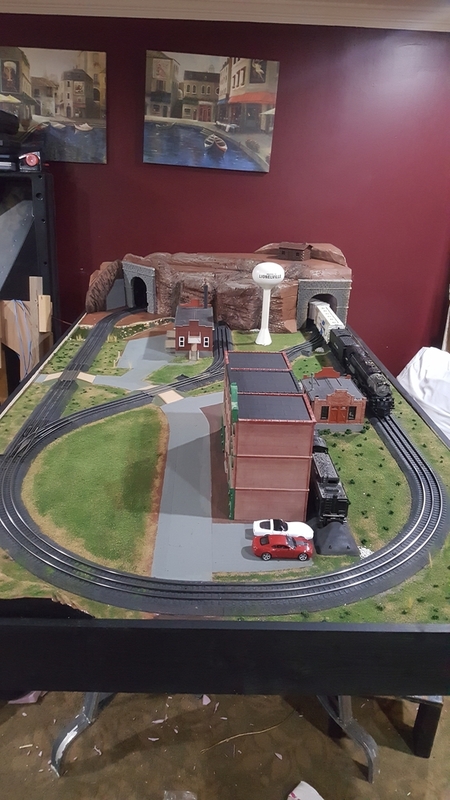 well today i was building on my simple 4x8 layout that i have the plan to sell at some point i figured i would add some signals to the layout to make it have alittle more action using 3 signals on the simple loop and 3 ts2's from azatrax. well they were up and running fine with the exception of i couldn't get the boards to talk to each other and signal accordingly but they did do the count down to color changes . I have track power going to a power block and had 3 of the hook ups for the 3 ts2's and the 4th and so on are going to be lights for buildings. I went to hook up my first light in a building and the 3 ts2's smoked. and turned off. SMH still don't know what happened. I started a similar discussion on the electronics I wanted to build for a layout I am designing. This is the thread https://ogrforum.ogaugerr.com/...ontrol-lcc-and-esp32 . The thread did not generate much interest but I still think it is the best and most inexpensive way to automate a layout. 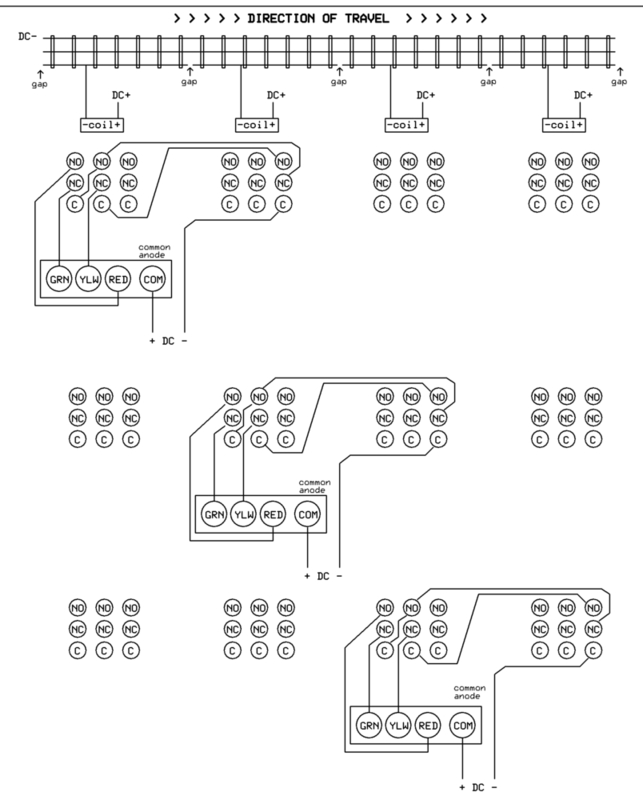 I have designed and received the boards made by PCBway for 4 of the nodes. Layout Command Control, LCC, is a NMRA standard. Several HO LCC enthusiasts are porting the LCC software to the ESP32. They claim they have 90% say the performance needed on the ESP32 and are working on improving the software efficiency. I am building a simple layout to demonstrate LCC, the boards and software. John, I really do think you could do it all with 3-aspect signaling. Flashing aspects are cool, as are double aspects, but they add complexity that has to be balanced against play value. And, if you mean to install bidirectional signaling (which does have play value) 3 aspects can do it quite well. Signals that simply change color are visually attractive, but they are only decorative, and not useful. The upside is that they're simple (often actuated by infrared light) but the downside is that a train could stop right after passing the signal and be sitting just beyond it when the signal timer changes the aspect from red to yellow to green. So, a train could pass a green signal and immediately run into the rear end of the preceding train. That doesn't bother some, but others want the signal to indicate that the train may safely proceed past it. You don't need an extra signal at the leaving end of a siding. In prototype ABS there is usually not one. The train leaving the siding checks the signal for the main track, then throws the switch and leaves the siding governed by the aspect that was observed. Green is a no-brainer. Track is unoccupied in the next block and all switches within that block are properly aligned for the main route. Yellow indicates that the next signal in advance will be red. has one or more switches that are not properly aligned for the main route. Prototype Automatic Block System (ABS) -- especially where semaphores were used -- did this exact thing. Rules provided that a train could pass a signal displaying Stop (red) without stopping, at Restricted Speed, if the switch was properly aligned for it to enter a siding. To get play value from a bidirectional signal system which actually indicates track occupancy, you need four blocks at the minimum, and each signal location requires opposing signals. 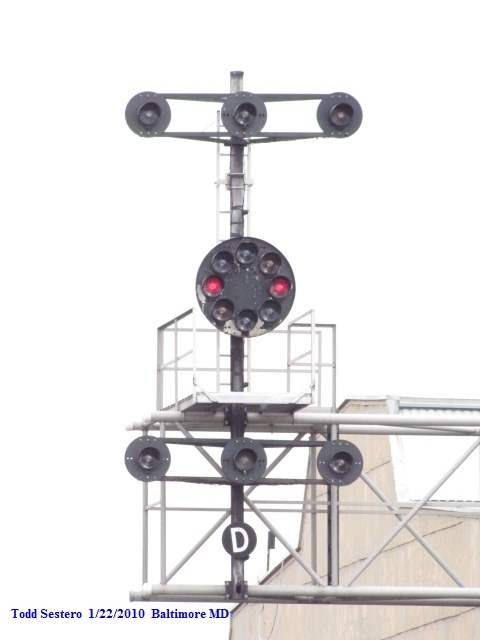 This can be either two separate signals, or one signal mast with opposing signal heads mounted on it. Obviously, you have to insulate the track into blocks, and you have to detect switch position, which, for a person of your electronic abilities, should be very simple. A couple of more insulated joints can create a trap circuit within a block, to activate crossing signals. Just make every trap circuit long enough to provide some advance warning in each direction. 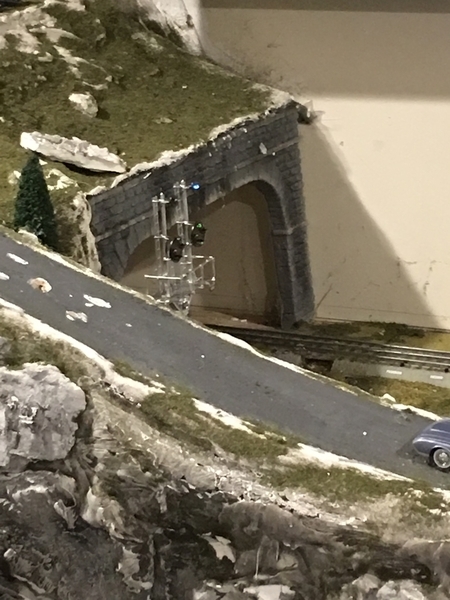 I did put a gold-plated signal system on my layout, but it was really expensive, and -- because the railroad is not a whole-house basement size -- I actually think that I could have done it with three indications and been perfectly happy. It's easy to get carried away on signals. 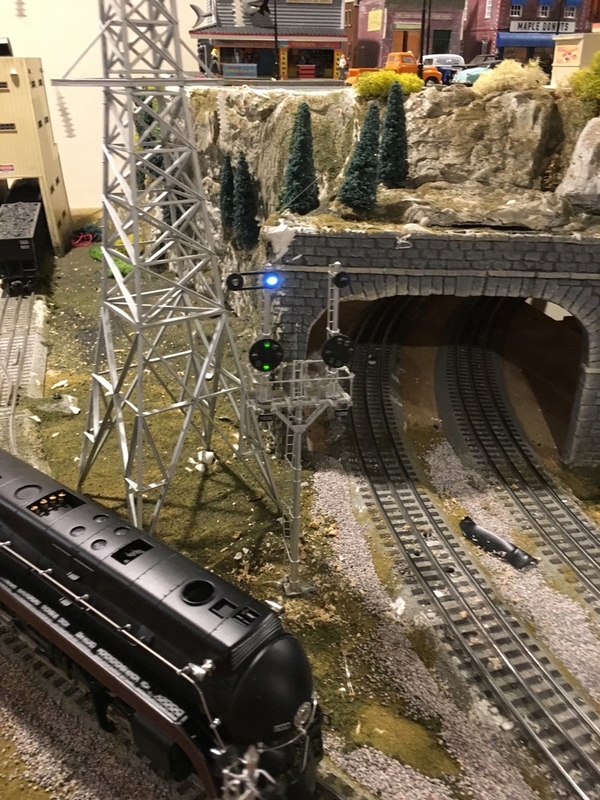 It is wise to remember that they are just another operating accessory and three aspects add plenty of fun to operation of the layout without great complexity and at a reasonable cost.